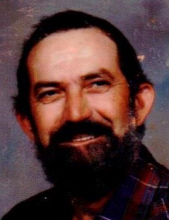 Paul Edward Harman, 73, of Dayton, passed away Friday, March 29, 2019 at Sentara RMH Medical Center. He was born in Harrisonburg on March 29, 1946, and was a son of the late Howard David and Virginia Hess (Holsinger) Harman. Paul was a retired farmer and attended Mt. Olive Presbyterian Church. He was united in marriage on March 8, 1986 to Debra Sue (Long) Harman. Surviving in addition to his wife are his children Melanie Harman, of Dayton, Paul Leonard "Len" Harman, of Criders, Jeffrey Long and wife Pam, of Timberville, and Doodie Paul Harman and Sheena, of Mt. Crawford; his sister, Rosalie Harman, of Mt. Crawford. He is also survived by nine grandchildren, Dakota Riggleman, Jeffrey Long, Jr., Chantz Gillispie, Jacob Long, Travis Harman, Zack Harman, Ty Turner, Deana Harman, and Little Wyatt Harman, and great granddaughter, Hayden Riggleman. He was preceded in death by two grandchildren, Jordan Christine Long and Marty Ann Knicley, three brothers, Ernest, Ralph, and Mark Harman and sister, Carolyn Harman. A funeral service will be held at 11:00 AM on Tuesday, April 2, 2019 at Mt. Olive Presbyterian Church in Hinton with Pastor Stacy Meyerhoeffer officiating. Burial will follow at Cedar Hill Cemetery. Friends are welcome anytime at the home. The casket will be closed. In lieu of flowers, memorial contributions may be made to Mt. Olive Presbyterian Church, P.O. Box 182, Hinton, VA 22831. To send flowers or a remembrance gift to the family of Paul Edward Harman, please visit our Tribute Store. "Email Address" would like to share the life celebration of Paul Edward Harman. Click on the "link" to go to share a favorite memory or leave a condolence message for the family.